Are you above 6 foot 3 inches tall, have a larger neck size, and are looking for a formal necktie to add to your classic suit or perhaps even tuxedo? 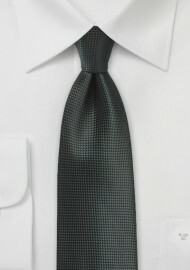 Then this jet black tie with woven texture would be ideal. Made in XL length measuring 62 inches, this tie is perfect for anyone above 6 foot 3 inches tall. 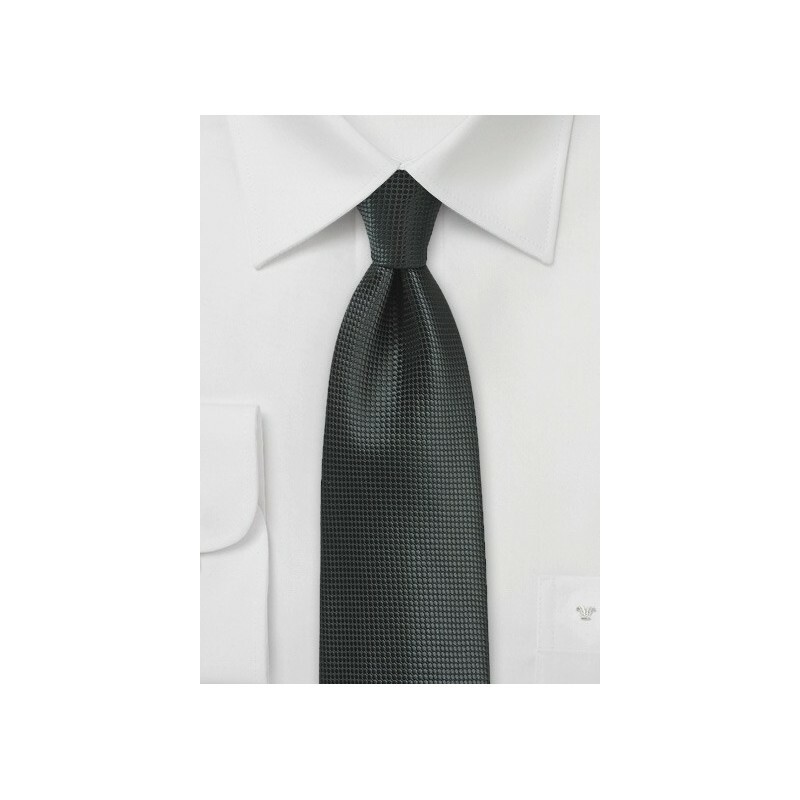 Even a larger neck size won't pose any challenge for this extra length tie. Made by Puccini from care-free microfiber.